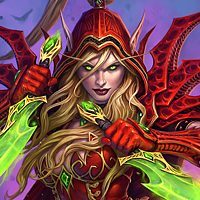 Forums Tavern Brawl Discussion Please give the Winter Veil Gifts "Rush"
Please give the Winter Veil Gifts "Rush"
I know you've done this brawl before and I hope you do it again. I enjoy it a lot because it has a good randomness factor while also very much rewarding those who can make the most out of what their given. 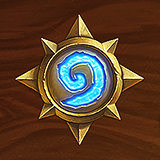 One of the main issues I see is there are only 3 classes that are viable, Priest/Warlock/Rogue (Spell based health swaps/sacrifices/deathrattle respectively, plus good combos to kill, velen/crazed chemist/demons). I think giving the gifts rush would help this issue though, easily making druid/paladins viable and potentially more I haven't thought of. You can't OTK with them because its rush but it would allow them to use their buff cards to get gifts/fight for the board. Although if you did this you'd definitely have to rethink the 0 mana card that sends 3 minions back into your opponents hand, but I think you should anyways. It is way to strong for 0 mana, even in this brawl. but against buff based decks it would completely counter them. edit: Main reason its so broken is this brawl encourages spell based decks that rely on the couple of powerful minions they win from gifts. I agree! Rush would allow buffs on them to work immediately before the opponent can steal it!